So after 2 more terms in 2018/19 our Academy closed its doors on another successful season… we will of course return in September to help more Goalkeepers! At the end of Friday’s session, as is tradition, we had some fun and games… followed by prizes and more importantly awards. These awards were to give recognition to our Goalkeepers for their efforts this season. They al received a medal, however there was also 4 special awards given out to very worthy winners, as nominated by our coaches. Big congratulations go to all…see below for full details. He has really matured into a good keeper in this group. I think he went through a bit of a confidence crisis early on in the year, however, we discussed his match performance and he pulled out some really good saves especially in the latter part of the year. He is always up for his turn in goal and wants to show his prowess. His handling has got way better (some gentle reminders about technique here have helped!) and so have his kicks. He has improved significantly, he has started to display an ability to consistently perform technically sound GK actions and if he carries on, he will definitely earn himself a place in a higher group. However, his listening skill could improve. He has improved in more of an all round sense, not just in technical aspect. Improved in confidence, maturity and now gives pointers to other, younger/new keepers. Always tried to ask relevant questions and tried to give worthwhile examples. Good on debriefed as well. He is a cheeky chap at times and loves to have a laugh. But he has improved massively. Going up to the middle group has increased his confidence, as he is eager to learn and impresses all the coaches. She is so determined to improve that she videos herself to reflect and learn from her training performance (although it often means we trip over her camera!). When paired with George, Leah jumps higher and often makes some extremely intuitive saves from his powerful shots. An absolute professional and someone who is a great role model for all our others keepers. She is a perfectionist and is always open to advice or even watching back her own performances to understand how she do it better. She has a great work ethic, and totally dedicated, you never see her disinterested or critical of others. She is instead motivating to others and none more so when she was happy to help our youngsters when we were short on coaches. As soon as he started every coach commented on that he already looked like a good keeper, from the skills he demonstrated. But add to this his attitude to learning, and not messing about, showed he meant business, wanting to learn and improve further. This was the reason we felt that he should step up last week to work with the older keepers – he didn’t disappoint and fitted in immediately. Just goes to show what a huge potential he is! He always works hard, always listens and takes in different coaching points. He has demonstrated a complete understanding of what we as coaches are trying to achieve, that is improving GK performance. He has taken this and implemented it into his game indefinitely, he has shown excellent progression and I have no doubt that he will improve even further as he develops. He is a hard working and determined goalkeeper. He turns up week in, week out and is eager to learn. Putting everything he has learned into practice. He shows great commitment as he puts 100% into every session. 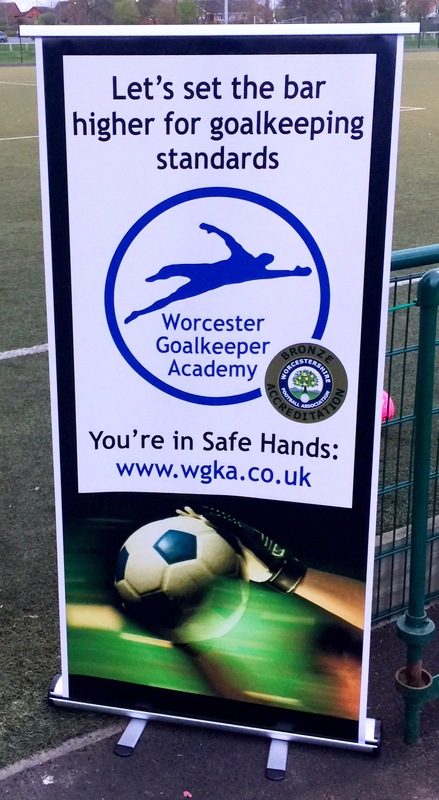 Well, the countdown has begun… the Worcester Goalkeeper Academy start back this Friday 14th September at 7:15pm, for 12 more weeks of training sessions. We have 10 coaches on our books, ready to help over the coming weeks. One of which I am proud to say now becomes a Lead coach, after achieving his coaching badges. Well done Mitch! 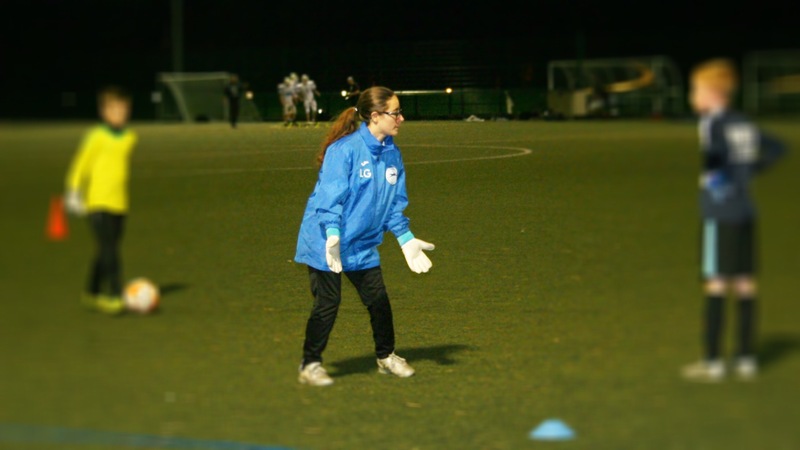 We have a plan created for all keepers, which includes coaching sessions across the term, covering lots of the aspects to develop the keepers, across all abilities, to help them and hopefully progress them, like we have for our previous keepers. The cost is £7 a session or discounted if a block of sessions is purchased (3@ £20, 6@ £35 and 12@ £60). If you do need more details, please check out the website. No one who attended went away without the recognition they deserved and indeed a medal for their efforts. There were though 4 that we gave special recognition to and they received special awards, for the categories of Star Goalkeeper* and Most Improved. These awards were given based on nominations by the coaches. *The Star Goalkeeper Award was given to the keepers with not just, talent, but with a willingness to learn and improve, as well as having complete dedication. Special recognition must go to not only all the other keepers, but also the Coaches. They turn up week in week out, volunteer their own time to dedicate to the training of these keepers. The fact that we have not only seen our keepers improve, but also see them go on to bigger and better things, including winning bigger accolades, is down to the coaches. Thank you all for your help! I started playing football in 2014. First with a Worcester womens team and then with the Worcester allstars disability football team. Whilst training with them every Sunday, I was tried in every position on the pitch, however it was only goalkeeping Was found to be best suited. At the start of 2015, as the opportunities at the time were limited, I decided I wanted to help others with my passion and took up coaching instead. 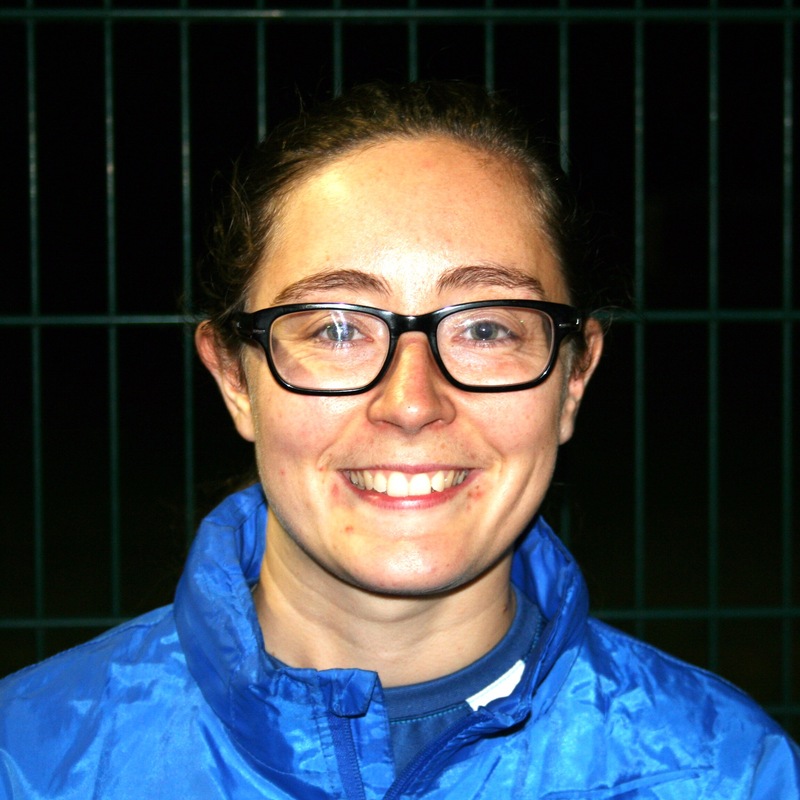 So I volunteered as a young leader and now help at different football clubs and organisations: WDFC (now as adult coach), Olbury Park Tigers FC, Footie Bugs and the Worcester Goalkeeper Academy. In May 2017, I attained the FA Level 1 award for outfield. As I have been coaching for a while at the Academy , I decided to take the step up and now help lead my own training sessions. I also plan to take the Goalkeeper Level 1 Award in 2018, to further develop my skills as a coach. Following rule changes for the Worcester All Stars team, as well as coaching, I now also play for the club in the top league. 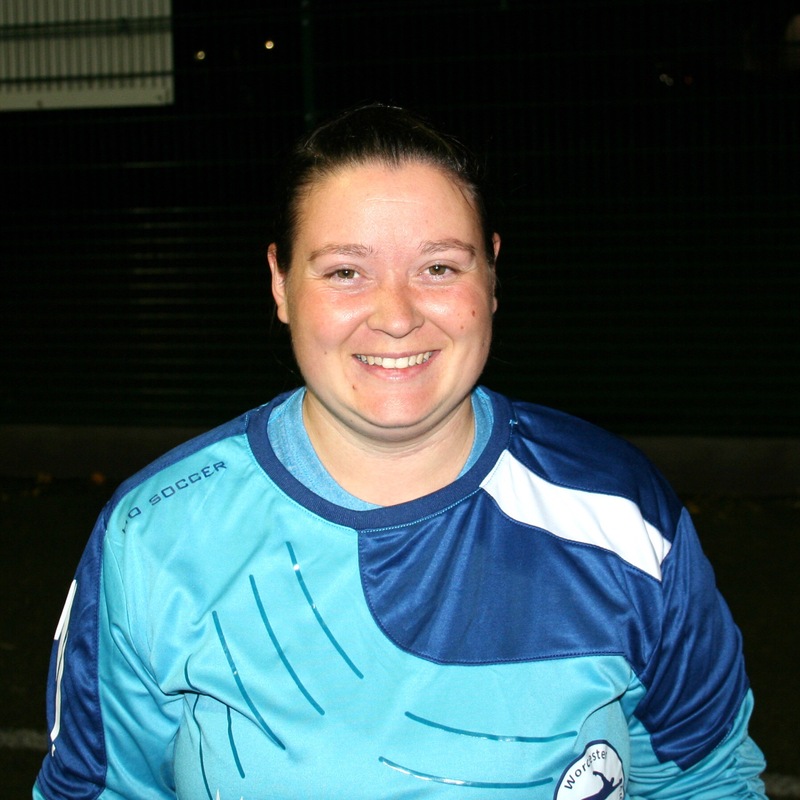 I may be the only girl in the team but enjoy playing for the team as their goalkeeper! What’s more I get to put my coaching into practice! The Worcester Goalkeeper Academy have a history of developing Goalkeepers, often getting great feedback from parents, players and coaches. It’s our passion and to hear that we have helped makes us incredibly proud. So to find out that one of our Goalkeepers has gone on to become a World Cup winner made us ecstatic! I started playing for Droitwich Spa Ravens Girls, not just in goal but in a mixture of positions. However during that season, I was picked to attend the Worcester PDC, where I started playing in goal permanently. 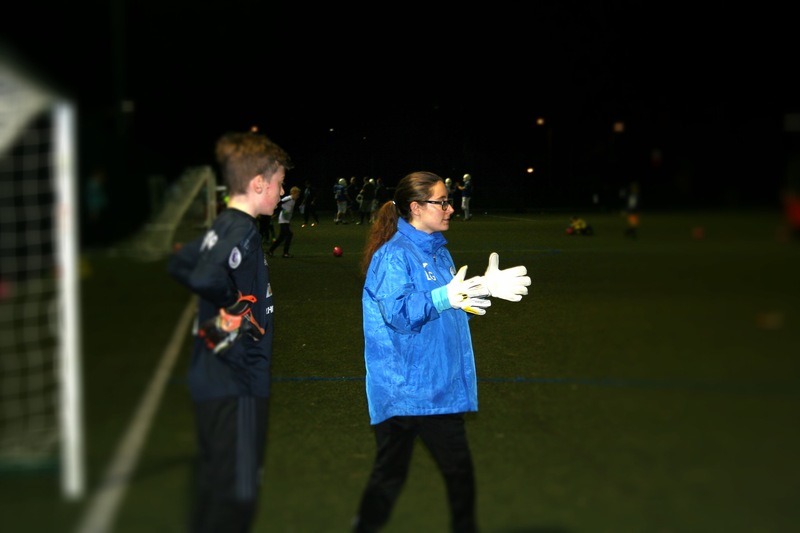 It was there that I met head coach, Julia West, who suggested I also attend the Worcester Goalkeeper Academy. After 18 months at the Academy, I have gone from grassroots to playing for an RTC, West Brom. In addition after successful county trials in the 2016/17 season, I become the goalkeeper for Worcestershire. 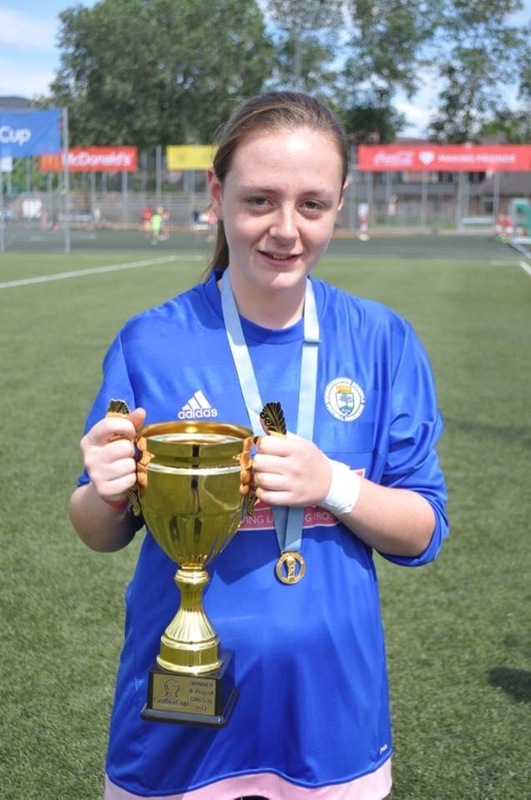 In July 2017, I went with my U15 Worcestershire Team to the biggest world tournament for youth football, The Gothia World Cupin Sweden… and our team won the trophy! I have achieved so much already and this shows that with determination and hard work you can get where you want. However I wouldn’t be the player I am today without the help of the Academy. All the coaches at the Academy are nice and helpful. I would especially like to thank Julia (West) and Simon (Deam) for everything for me and my football in the last 18 months. 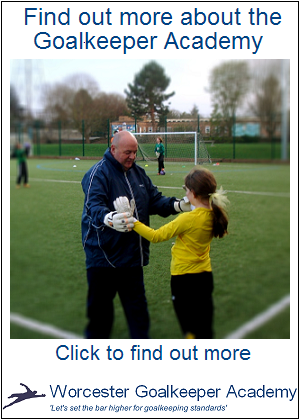 Updated: Worcester Goalkeeper Academy is back for a new term! I hope you have had a great Summer break? And now raring to get back to goalkeeping? Well we can satisfy your thirst for diving around catching footballs from this Friday! We again start at 7:15 for a 1.5 hour session, and this time (coaches permitting) expect to have 4 coaching groups to help you / your keeper develop further. For more information got yo our website. Academy is now closed, but it will reopen 8th September 2017 for a new term! 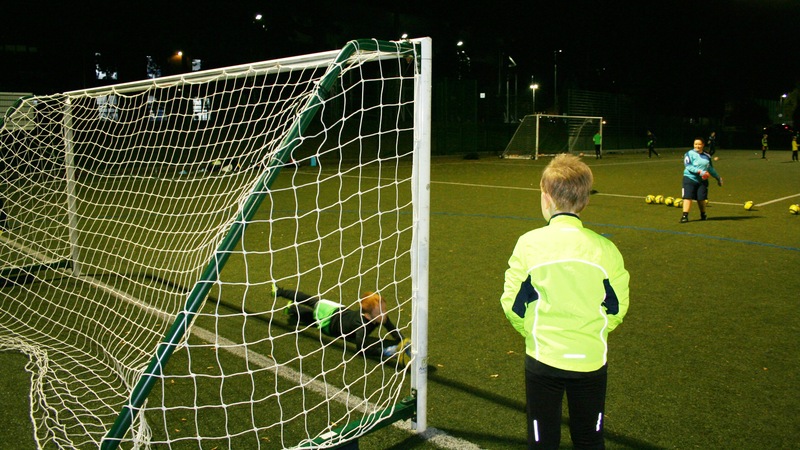 The Worcester Goalkeeper Academy reopens it doors for new Summer Training sessions.